A historic steel roller mill served as the backdrop for the latest America the Beautiful Quarters® Program launch event. 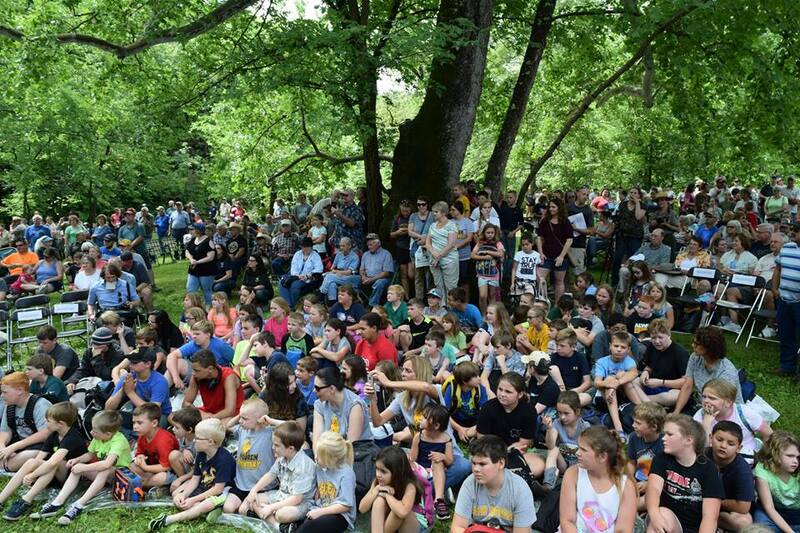 More than 1,800 people, including 700 children filled the area surrounding the historic Alley Mill on Monday, June 5 in Eminence, Missouri. 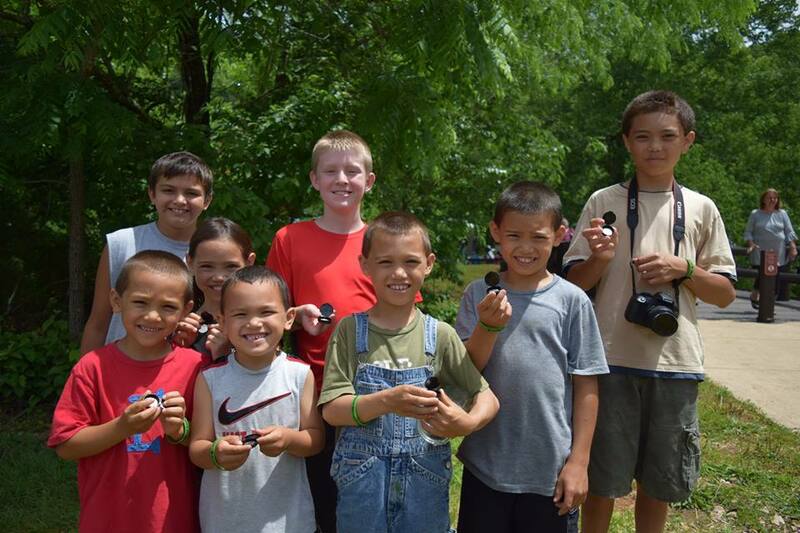 The Ozark National Scenic Riverways quarter is the third of 2017 and the 38th overall in the U.S. Mint America the Beautiful Quarters Program. Designed by Ronald D. Sanders and sculpted by Renata Gordon, the quarter’s reverse design depicts Alley Mill, a steel roller mill built in 1894. This merchant mill was used to convert wheat into flour. Much of the original milling equipment is still in place, and visitors to the park can tour the mill. U.S. Mint Senior Advisor Michele Satchell represented the Mint. 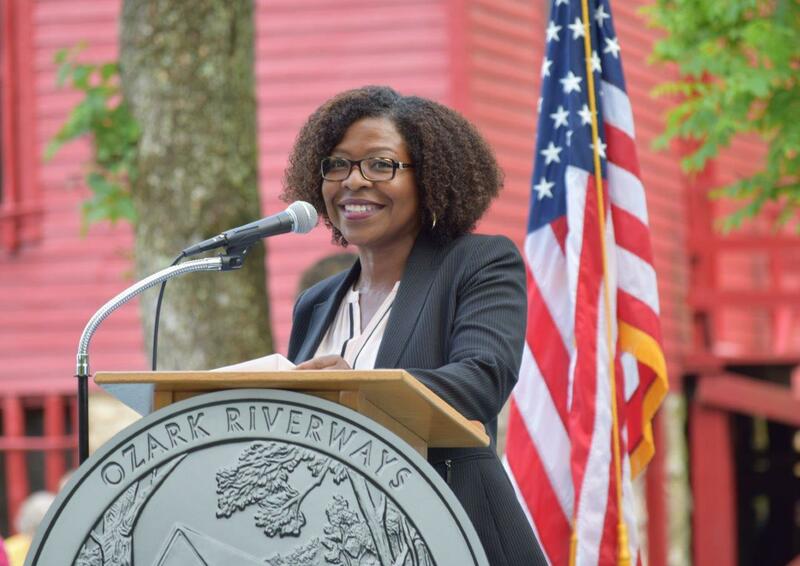 She shared the stage with former NASA astronaut Tom Akers, who served as master of ceremonies of the event. Additional speakers included Congressman Jason Smith; Patricia Trap, Deputy Regional Director for the National Park Service; Paul Fitzwater, Missouri State Representative, who represented Governor Eric Greitens; Larry Johnson, Superintendent of Ozark National Scenic Riverways; David Stokely, District Director, SW and South Central Missouri, who represented Senator Claire McCaskill; and a representative for Senator Roy Blunt. 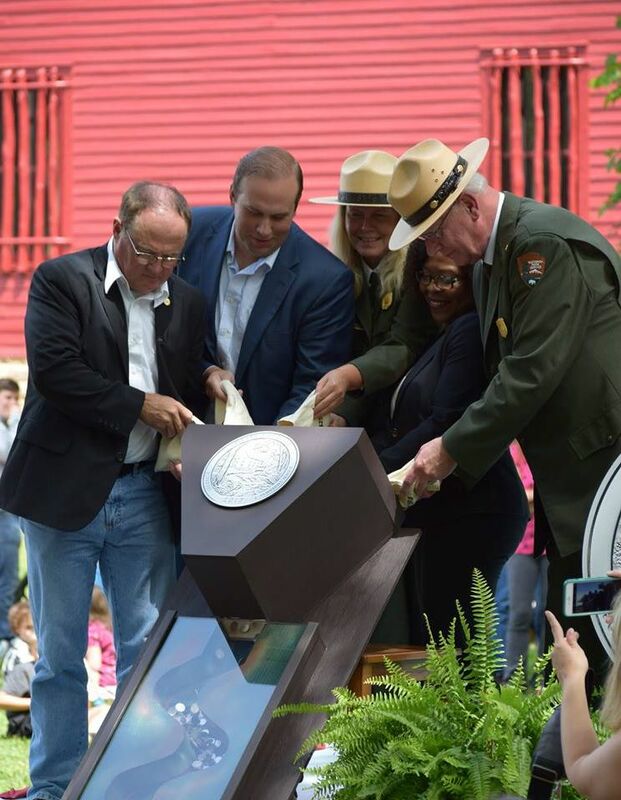 “Vital to the community here a century ago, the mill stands as a tribute to our ability to harness the power of the environment and reminds us of a way of life heavily shaped by the remote and rugged landscape in which it endured,” Michele Satchell told onlookers. The Baker Family, an award-winning bluegrass band from South Central Missouri, entertained the crowd and the ceremony included a special recognition of the quarter’s designer Ron Sanders, an artist in the Mint’s Artistic Infusion Program. A number of media outlets attended the event including Ozark Radio News, Salem News, River Hills Traveler and American Republic. Avid coin collectors joined national park enthusiasts in a coin forum that was held the night before the quarter launch. Michele Satchel led the program and explained why it’s been such an exciting year for the Mint. In addition to celebrating its 225th anniversary and launching a public coin design competition, the Bureau is also gearing up for two unique commemorative coin programs. The Mint will manufacture a pink gold coin as part of the 2018 Breast Cancer Awareness Commemorative Coin Program. The 2019 Apollo 11 50th Anniversary Commemorative Coin Program marks the first time that a curved version of a five ounce silver coin is produced and offered by the Mint. For the first time in America the Beautiful Quarters Program history, the quarter’s designer attended the coin forum as well as the quarter launch ceremony. 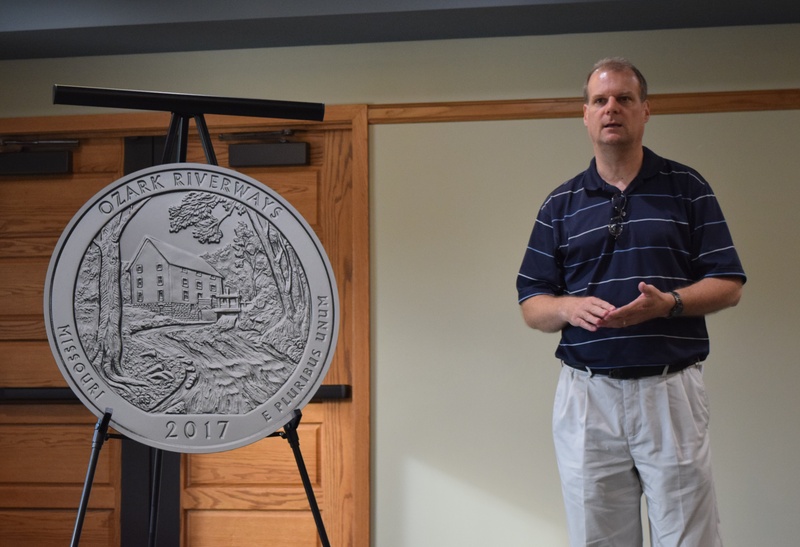 Coin forum attendees were treated to a special discussion by Ron Sanders who gave them a behind-the-scenes look at the process of designing the Ozark National Scenic Riverways quarter. Ron talked about the unique process of creating a design for such a small canvas and said the challenge lies in “taking a big idea and simplifying it into basic elements.” He explained that too many elements will clutter a design and one must always be mindful of how each element will translate into the final product-a coin. As he creates designs, he tries to use creative and unusual perspectives to give the subject matter a fresh viewpoint. Ron also noted that the quarter is the result of a team effort and he praised the work done by U.S. Mint Sculptor-engraver Renata Gordon. He was ‘blown away’ by how Renata was able to capture the movement of the river and how she was truly able to bring the design to life. After the forum, attendees eagerly met and took photos with Ron and Michele and thanked the Mint for visiting their community.